Inspiring and intelligent acoustic folk rock songs similar to Jack Johnson, Damien Rice and Ryan Adams. 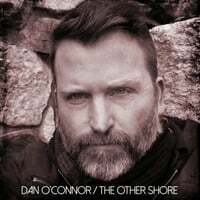 Dan O’Connor (born October 9, 1969) is an acoustic folk rock singer-songwriter from New York, NY. His sound is similar to Jack Johnson, Damien Rice and Ryan Adams. O’Connor began playing guitar and writing songs at the age of 13. He went on to study music at the Hartford Conservatory and The Hartt School where he graduated with a degree in music business and jazz guitar. Dan’s music is on hundreds of soundtracks such as the TV series “The Reviewers”, the documentary “Mumbai Nights” and the film “Waiting for Ruby”. His many composing clients include Disney, Harvard University and IBM. The singer-songwriter also studied acting at H.B. Studios in New York City and appears in indie films such as “Curious Design”, “Subject to Retaliation”, “Ovelia and Gregoria” and “Zedic & the Crimson Born”.